Disperse dyes are liquid colours which are applied to paper and they may be painted or printed and are then transferred to fabric through a heat transfer process. 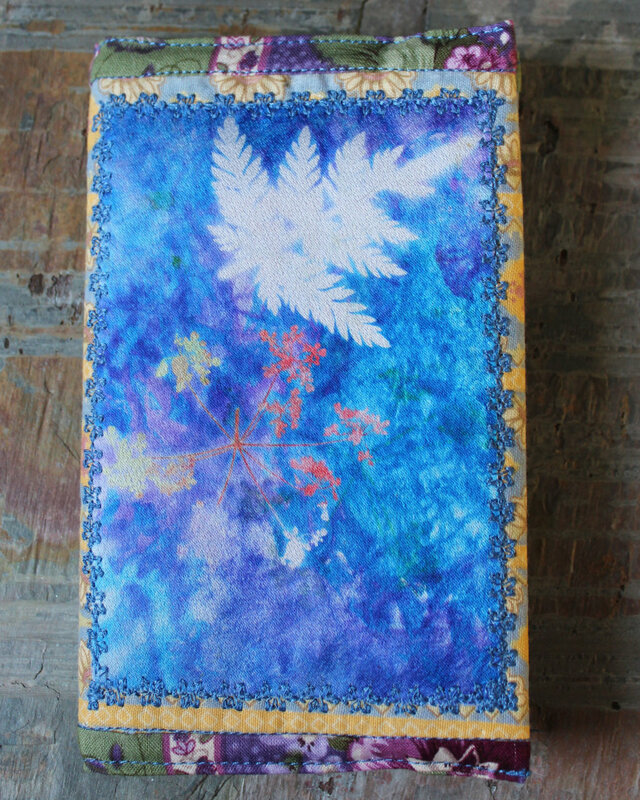 You will be shown how to use the disperse dyes by painting or printing onto thin paper. Paler colours will be transferred to the fabric first using an iron. You will then use a variety of objects from cut stencils to delicate plant forms to create a resist image. You will then iron over with a second colour to create multiple exciting designs and patterns. Your designs may then be enhanced with stitch if you prefer. Disperse dyes work best with synthetic fabrics and you will be provided with satin and chiffon samples with which to experiment. Final images may be used for greeting cards, to decorate a notebook or a small bag or just enjoyed as artworks in their own right. I will be teaching this workshop at Creative Workshops Garstang on June 16th 2018. www.creativeworkshops.co.uk to book and for more information.